If the idea that storytelling is important is a new one for you, we suggest that you take your 10 minutes today, and explore some of the resources below. The importance of storytelling has been documented on many levels. Some of us came through a school system that de-emphasized the importance of stories, and valued the memorization of facts. We may need to relearn the power of stories, and how they can play a critical role in our work as educators. Consider the breadth of the idea of storytelling on Wikipedia. Explore the importance of storytelling in First Nations Pedagogy. Shared under a Creative Commons Attribution – Non-Commercial – Share-Alike license by Guilia Forsythe. Check out some of these TED Talks on the topic of storytelling, or this article in The Guardian on the Importance of Storytelling in the Digital Age. Why Is It Important to Tell Our Stories? Taken from a post by Stephen Hurley. Click the image for the link to the post. If we don’t tell our stories, someone else will. We are doing amazing work in education today. Who are we telling about it? The importance of taking time to tell our stories is captured in this post by Stephen Hurley: Telling Tales Out of School: The Stories that Emerge from the Work That We Do. We hope you will take a few minutes to read it and consider your role in spreading the great stories of public education in Ontario. Taken from a post by @stephen_hurley. Click the image for the link to the original post. Earlier this year, Darren Kuropatwa visited OSSEMOOC to share ideas around Digital Storytelling. You can access his slides here. Some of our participants shared their learning in the video below. How can we begin to use digital storytelling in our classrooms? This example from Kathy Cassidy demonstrates the power of tools available to help even early primary students share their stories. What digital storytelling resources or examples do you have to share? The Principal Associations in Ontario hosted a second Symposium for Ontario School Leaders on Technology Enabled Learning and Leading. Dr. Alec Couros was invited to keynote and share learning on blogging as a portfolio. His shared resources are available here. This week, the Principal Associations in Ontario (OPC/CPCO/ADFO) are hosting a symposium for Ontario School Leaders on Technology Enabled Teaching and Learning. 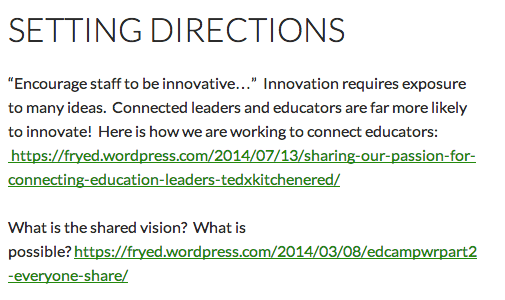 The learning is being shared using the hashtag #ontedleaders . George Couros has been leading some of the learning by meeting with principals virtually, and by examining the Ontario Leadership Framework. As well, George has been sharing his ideas around open/visible learning and leadership, and sharing our professional portfolios online as our blogs. Now that you have started to create your own space for sharing learning, consider that your blog can also be your personal portfolio. How can you set it up? If you remember in our first blog video, the difference between “posts” and “pages” was discussed. “Posts” are your regular contributions to your blog – your writing. We add new posts by using the “Add New” option on the left side of the dashboard. Pages are listed on your blog and they contain information that normally you don’t change as frequently as your posts. 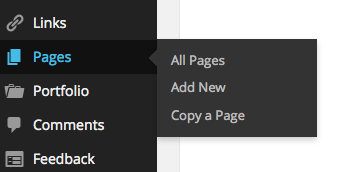 We add new pages by hovering over “Pages” and choosing “Add New”. 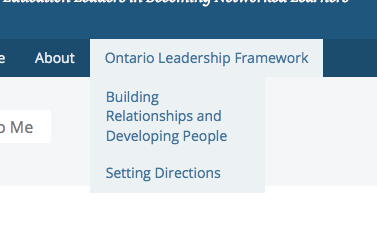 We name our page “Ontario Leadership Framework”. Once published, we can see the page on the public side of our blog. It is helpful to use subheadings for the different strands of the framework. It is simple to set up these pages. Once again, we can add a new page. This time we call it “Setting Directions”. 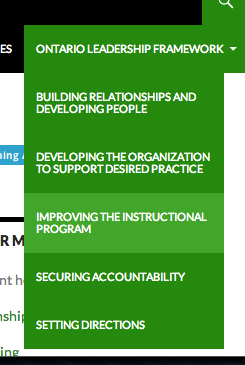 In the right margin, under parent, we choose our previous page “Ontario Leadership Framework”. This ensures our new page appears under the main heading. 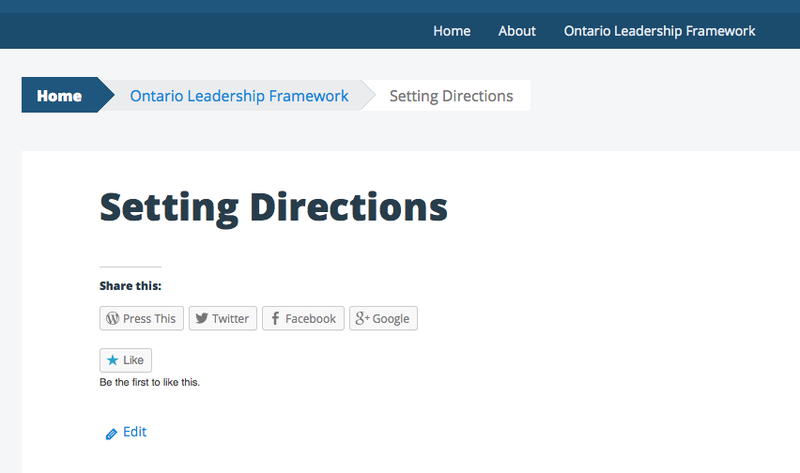 Once published, we see “Setting Directions” under the Ontario Leadership Framework Page. We can repeat the process for “Building Relationships and Developing People”, and the other strands of the Leadership Framework. Clicking the “Setting Directions” heading shows us the page. As we work on our blog, posts that fit this strand can be added to this page. This is the basic Professional Portfolio set up. How can you personalize your blog and make this your own? Please feel free to ask questions and share ideas in the comments. If you have the opportunity to attend the #ontedLeaders Institute, please remember to share your learning with your colleagues who were not able to be at the event in person. 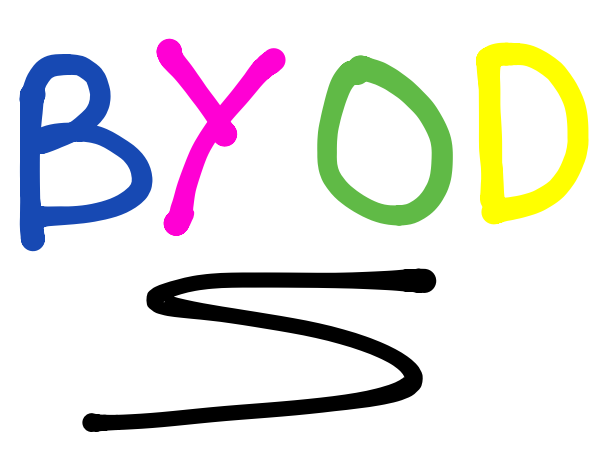 This week our OSSEMOOC open mic professional learning discussion and sharing forum will examine the topic of BYOD. There are many facets to explore including: shifting practice, IT planning, policies/procedures, digital citizenship and much more. Please join us Tuesday November 25th (2014) at 8:00 p.m. EST in our online meeting space by clicking [here] any time after 7:30 p.m. Spread the word, bring a friend and introduce them to the OSSEMOOC experience. 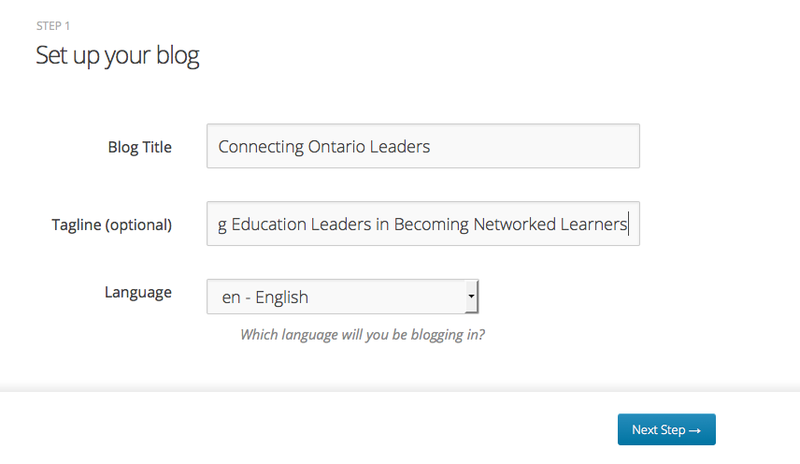 Yesterday we looked at the options available for educators to begin a personal/professional blog for free. Today, we hope you will take ten minutes to actually begin creating your personal space for sharing and curating. We will guide you through the process of starting a blog at wordpress.com. The process is quite similar for other hosting sites, and all sites have extensive support available to walk you through the process of setting up your blog. Begin entering the information. Your username will appear when you make comments on other WordPress blogs, so consider carefully what you want that to be, and be sure that it is reflective of you (i.e., your real name or your Twitter handle are good options). Consider carefully the “blog address” as this is what you will use to drive readers to your site. Keep it simple and reflective of who you are. 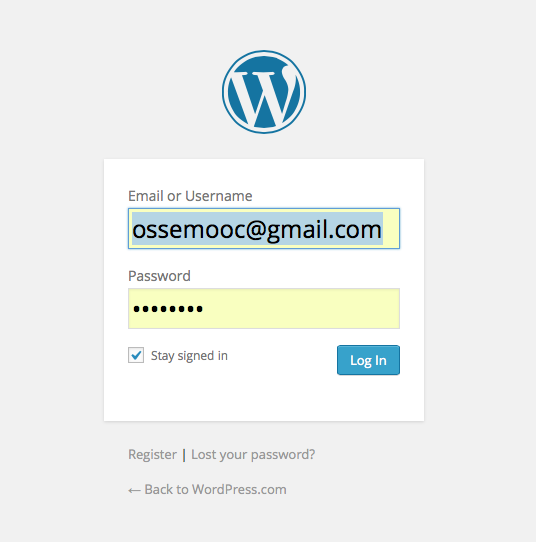 Take a screenshot, or carefully record the set up information so that you will be able to log back into your site. You are provided with a number of options. For now, we will stick with the free version. 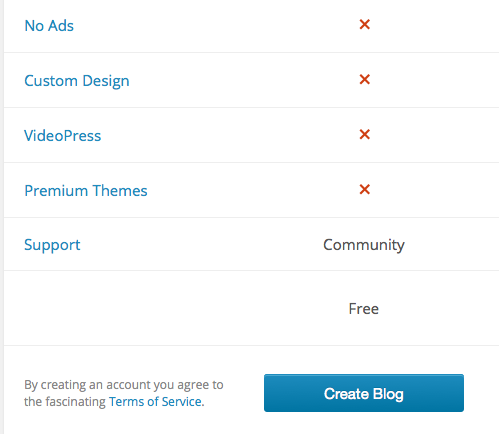 Choose “create blog”. 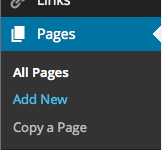 WordPress.com will now “walk you through” a number of steps to create your blog. Consider the purpose of your blog as you create a title and tagline (all of these can be edited later). At some point in the process you will be asked to verify your account through the email address you originally provided. In the email message, you will see an option to follow beginner tutorials. You may need to log into your site from the email message. Use the information you carefully recorded when you set up the blog. When you are creating a blog, there are two “sides” or “views” in the process. There is the public side, which is what others see when they visit your blog at the URL you have chosen. For example, it’s what you see right now at https://ossemooc.wordpress.com/. When people navigate to my new blog, they see this front page, but with their own login information on the top black navigation bar. The “other” side or view is the dashboard, where you create your posts and design your site. 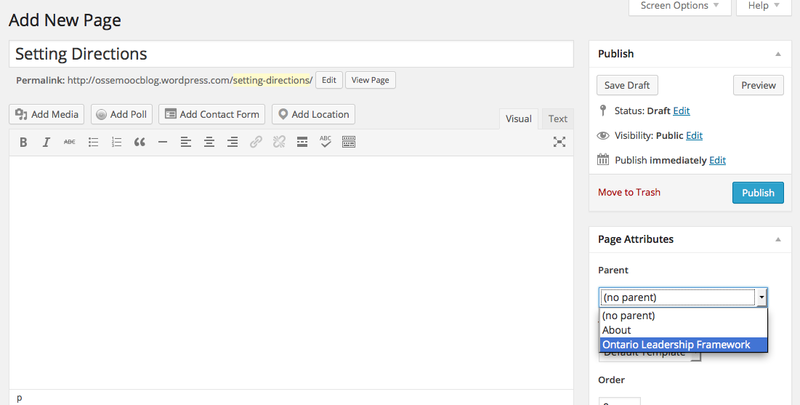 To access your dashboard from your public view, click on the name of your blog in the top left, and choose dashboard. WordPress.com has provided an excellent instructional video to help you understand and navigate the dashboard side of your blog. Take some time to watch the video and play with some of the features on your new site. Below are some further resources to help you navigate and learn the dashboard side of your blog. Ten Minutes of Connecting: Day 23 – Yes, It’s Time to Start Your Own Blog! Much of the work we have done so far in getting connected has been about where to find information on the web, and how to share the valuable information with others. Shared by Dafyd Jones under a Creative Commons Attribution – Non-Commercial – Share-Alike License. But what if nobody created any of the resources you are sharing? Your presence online is valuable because others are creating and sharing with you. You are a valuable part of your own PLN. Creating and sharing back with your colleagues is an important part of the process, and a valuable aspect of your own professional learning. Today we start supporting you in the process of creating your own blog. Shared under a Creative Commons Attribution – Non-Commercial – Share-Alike License by Dekuwa. You can’t create a blog in ten minutes, so we have broken the process down into a series of easy steps. Our goal is to have your blog live online before the end of this 30-day series. First, what do we mean by the word “blog”? We need to have a shared understanding of what a blog is. Edublogs, one of many possible platforms for your blog, has created this instructional video that will give you the basics of what a blog is in under four minutes! The next step in setting up your own blog is making a decision about what platform you will use to host your blog. Many educators use one platform for student blogs and a different platform for their personal blog. How should you decide? 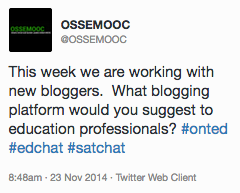 Edublogs recently did a survey of bloggers, asking about their platform of choice. Reading their comments might help you with your decision. Of course, asking your PLN on Twitter what platform they use and why is an awesome use of your Professional Learning Network to support you in your work. If your friends are already blogging, ask them what they use and why. Once you have made your decision, it’s easy to sign up for a free blog. If you are already a blogger, what tips can you offer new bloggers? Personal Blogging – a fantastic step-by-step guide by Edublog’s Sue Waters. As we move into the last week of our “10 minutes of Connecting” series, we continue on from our thinking about Collecting – Connecting – Curating – Collaborating to Creating and Sharing. One of the easiest ways to own your own creative digital space is to start your own blog. You have already started your “blogging” work by contributing to the “microblog” Twitter. When 140 characters isn’t enough, you need to create your own space to share your thinking and learning. There are many reasons to start your own blog. Today we are considering the purpose of blogs, and how they can help us in our own learning. Many leaders start blogs as a way to help publicize and share the great work being done at their school. Others make their personal growth plan visible to their school community. A blog can be a place to share resources and learning plans for a group of learners. Some leaders use their blog as a professional portfolio, demonstrating the work they do in each area of the leadership framework. Take some time today to look at the blogs posted in the margins of this page. This time, look for the purpose of the blog. 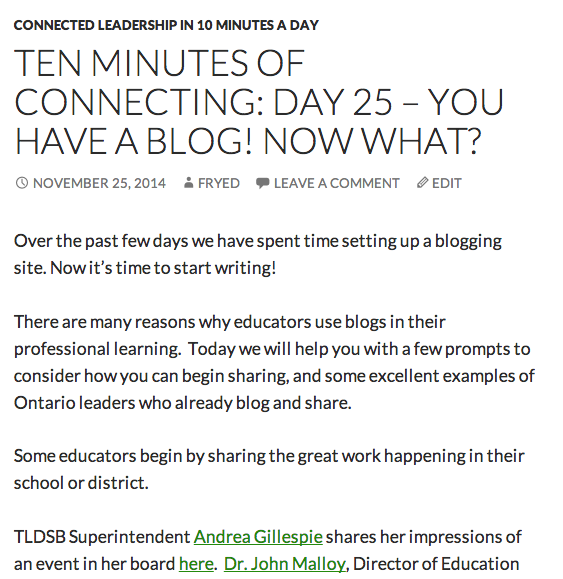 How can blogging help you in your work as a lead learner? By now you have created your own Google Drive, and you have learned to create and share files of different kinds (documents, spreadsheets, presentation slides). Google Drive allows you to collaborate on so many levels – with colleagues, students, parents and complete strangers. Google Forms allows you to quickly gather data and store it neatly in a spreadsheet where you can organize it and sort it according to your needs. First, we want to share with you the best resources we can find on how to use Google Forms (instructions). Then, we will take you to some resources that help you think about how you might utilize Google Forms in your practice. To begin with, go to your Google Drive. Because Google frequently updates its interface, it is sometimes challenging to find instructional material that matches the current interface you are working on. 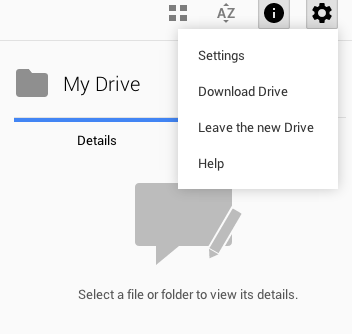 First, let’s look at how to switch between two styles of Google Drive. 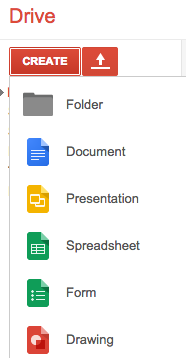 If you click on the Create button, and it looks like this, you are in the traditional, older format of Google Drive, with Documents, Spreadsheets and Presentations. You can switch between this and the new format here. The “new Drive” uses “Docs, Sheets and Slides” , and Forms are accessed in a slightly different way. You can return to the traditional interface here. As you use the supports available online, you may need to switch between formats to follow the instructions, depending on which format the instructions were created in. Here are some resources to help you get started with Google Forms. Then Create a Survey Using Google Forms. This series of links will walk you through the very simple and intuitive process of creating a Google Form. If you have any difficulty, please ask for help in the comments to this post. Why would you use Google Forms in your practice? This example of how Google Forms can be used to enhance the teacher-student relationship was shared by George Couros. Educational Technology and Mobile Learning has featured a comprehensive guide to using Google Forms in education. This site contains a number of different ways to use Google Forms in education settings. Some are clearly geared to the American system, but they will spark some ideas for integrating Google Forms into your personal professional practice. Please be sure to share back with us (in the comments) how you are using Google Forms! Collecting Data Using Google Forms – this resource uses an older Google Forms interface, but it is included here for the use of the tool (not the instructional piece). Today we are building on some of the learning you have been doing in this series. We have focused on a number of tools to help you connect. We hope that you are continuing to set aside 10 minutes each day to connect through one of those tools, or to learn something new with us. This series will continue to exist on our website even after November 30. You can work through it at a pace that suits you. If you find it helpful, please spread it to your colleagues. Use the link at the top of this page to suggest other topics you need to learn about, or simply post a comment on the blog asking for help. The whole purpose of OSSEMOOC is to support education leaders (formal and informal) in getting connected and modelling the learning we want to see in our “classrooms”. Yesterday we looked at how to access and build your Google Drive so that you can share your documents, images, spreadsheets, presentations and resources with others. 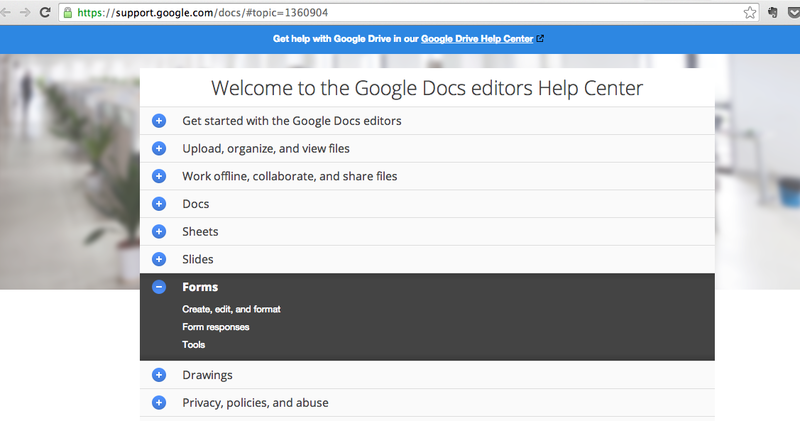 Google Drive allows you to easily collaborate on any topic with those on your team. How are school and system leaders around the world leveraging this method of collaboration? Photo shared by in_case under a Creative Commons attribution license. Take ten minutes today to explore some of the possibilities that will help you to transform the way you do your work and model the learning for those in your sphere of influence. If you are already using Google Drive in your practice, please share how by posting this on your blog and sharing the link on Twitter under the #ossemooc hashtag. Or, please share how you use Google Drive in the comments for this post. Let other leaders see the power of collaborating online! 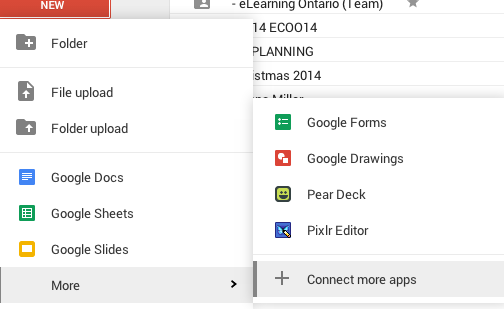 Google Docs for Administrators: 5 More Ideas – by Kyle Pace. More ideas for streamlining the tasks of school leaders, including event planning and teacher collaboration. Web 2.0ing Your Staff Meetings – by Mark W. Carbone. Great ideas for bringing staff meetings to life and incorporating asynchronous collaboration.